The Artery Baton Kit is a compact pen-style semi-mechanical kit. 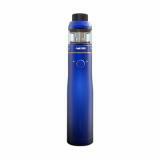 It can work with single 21700/20700/18650 battery with all round protections. And the Hive S tank comes with unique mesh coils, which can bring rich flavor to you. • It doesn't come with e-liquids and battery, please buy them separately. wow, it is a semi-mechanical vape pen kit Rare to see a semi-mech kit nowadays, with so much safety, I like it! 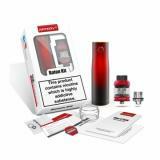 Artery Baton Starter Kit with Hive S Tank it can be powered by 3 battery types: 18650, 20700 and 21700. Made of brass and aluminum alloy, the kit has good hand feeling. The Artery Baton kit consists of the Hive S Sub Ohm Mesh tank and the semi-mech Baton mod which can use a 18650,20700 or 21700 battery.